Step up your skills with a structured cork bag!. Cork fabric is a 'sustainable', washable, stain resistant, durable, and hypoallergenic alternative to leather that is surprisingly easy to work with. This "learn as you sew' pattern offers two style options - one with grommets and a tasseled drawstring and one without. 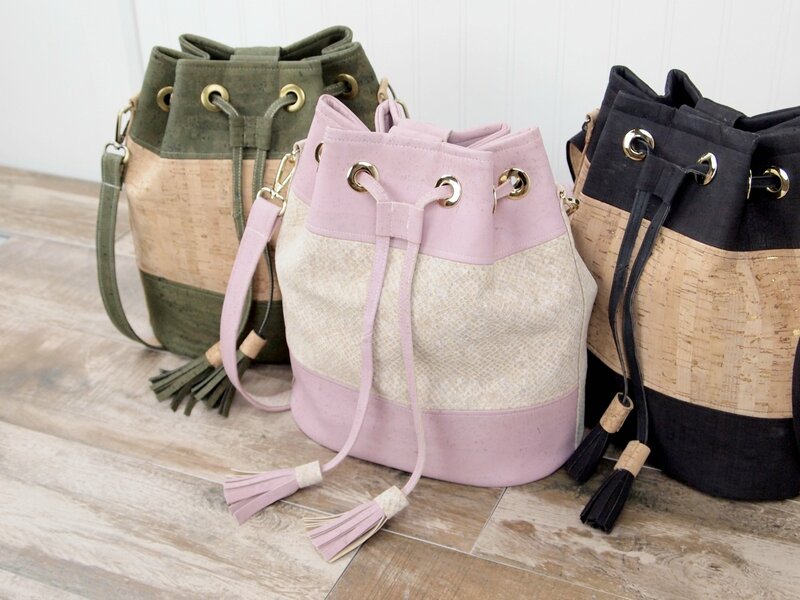 In addition to basics such as strap connectors and zippered interior pockets, we will tackle purse feet and adjustable straps.